This has really made an impression on me and is just perfect. Look what the Lord did. Exodus 3:1-15. Let me set the scene, Moses was shepherding a flock. He sees “a remarkable sight” (of the bush that is on fire but not consumed). I would have missed this completely, or if I had noticed would have thrown up my hands and ran! Bye sheep, you are on your own. God knows us. He knew Moses, so when he went over to take a closer look, the Lord introduced Himself as the God of his father, of Abraham, Issac, and Jacob. 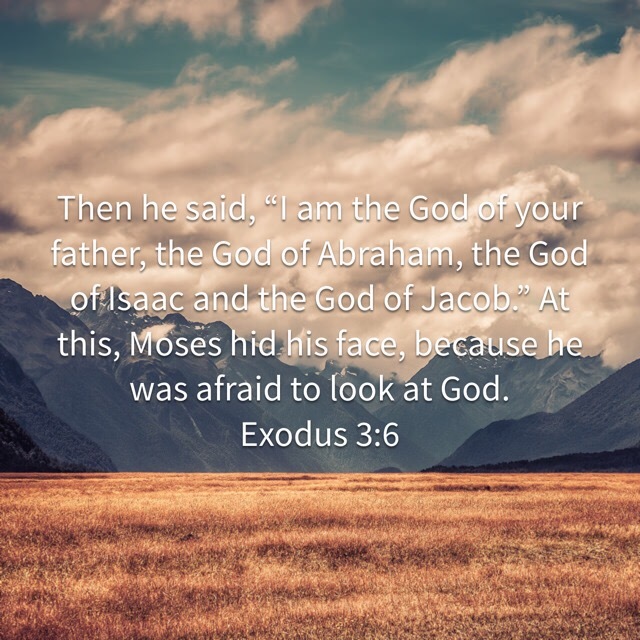 V6, Moses “hid his face because he was afraid to look at God.” So he knows Who is talking to him. God says, “Go. I am sending you to Pharaoh so that you may lead My people, the Israelites, out of Egypt.”‭‭V 10‬.